Simply place the hanger over the rail through the lower split. Smart 'grippy' non-slip coating keeps trousers firmly in place. 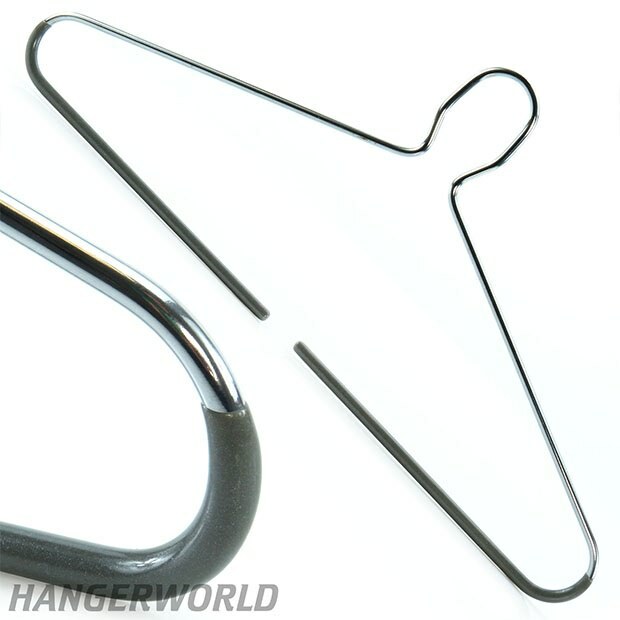 Premium hanger in tough, smooth shiny chrome. Suitable for all tops & blouses, shirts jackets, coats, trousers etc. Hangers can't be removed from the rail until the garment is removed. No more hangers on the floor of the wardrobe!! Size: Width 42 cm (17") approx.